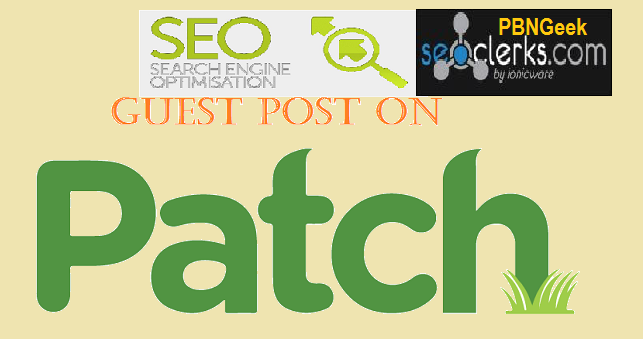 I will write high quality 500+ words article with full information about your website and guest post on patch dot com. I will write and publish a guest post on Patch .com. I'm a contributor on This and a professional writer / blogger. I’m only able to link to a good quality blog post, not a homepage or a commercial page. I cannot provide this service to gambling, dating or adult websites. Minimum 500+ Words Unique and Quality Content Anchor Text And Your Targeted URL100% Satisfaction Guaranteed! Publish A Guest Post On PATCH is ranked 5 out of 5. Based on 2 user reviews.